Our durable, lightweight under-clothing Money Belt is now offered with enhanced security. Keep important travel documents and personal identification items out of sight and your personal credit card and id more protected with RFID Blocking technology. 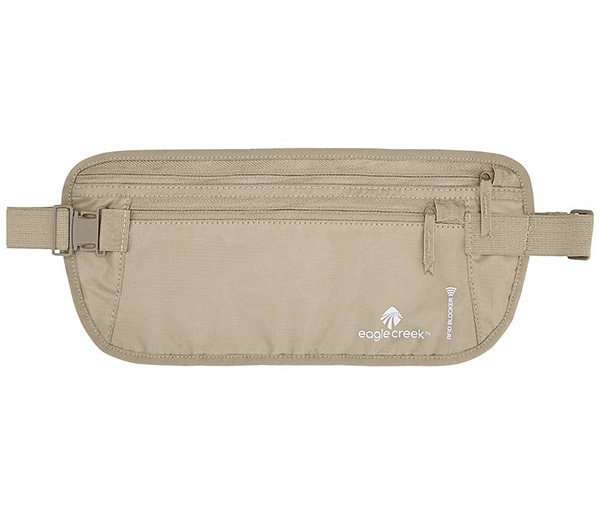 The money belt comes complete with two zippered pockets for secure organization and a soft elastic waistband with strap keeper.